Not everyone knows that the online encyclopedia Wikipedia is a collaborative – and not wholly authoritative – endeavour. Almost anyone and everyone can contribute and edit articles. Which means that not everything you may find there is definitive or accurate. But I certainly don’t overlook it as a source for research information. Rather, I use the footnotes and references at the bottom of any article of interest to use as leads for attributed information I might find useful. 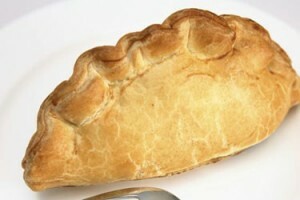 For the purposes of this post, I randomly selected the topic of Pasty. The article is obviously written by someone with a fondness for the traditional Cornish takeout food, and quite a bit of knowledge. My grandmother’s pasties set the bar high for any I’ve eaten since, and I like to think of myself as the pasty expert, based not only on the number of the meat and potato-filled pastries I’ve eaten, but also on the ‘facts’ I hold to be true. 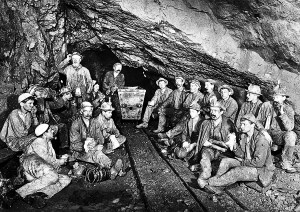 For example, that their crust is intended for thick miners’ hands, the men who carried them underground for their lunch, after which the ‘carrying handle’ could be discarded. And that the only proper ingredients are potato, swede, beef and onions at one end, apple and raisins at the other – despite what the ubiquitous mass-produced Cornish pasty manufacturers (many of whose products are all made across the River Tamar in England) may suggest by their brie and apple, or sausage and cranberry offerings. But instead of digging too deeply into the article to see what the author had got right or wrong, I scrolled down to the References at the bottom of the page. All 73 of them. Plus links to four books and two other websites. This is where I am most likely to find useful resources, the origins of which can be followed, explored, evaluated, attributed and footnoted if I ever want to publish a treatise on the issue, and have my work stand up to the scrutiny of a fact checker. So while Wikipedia is not at the top of the list of sources for secondary or tertiary research, it’s a useful place to check out if you need to know who already knows more about your topic than you do. Miners enjoying their Cornish pasty lunch.